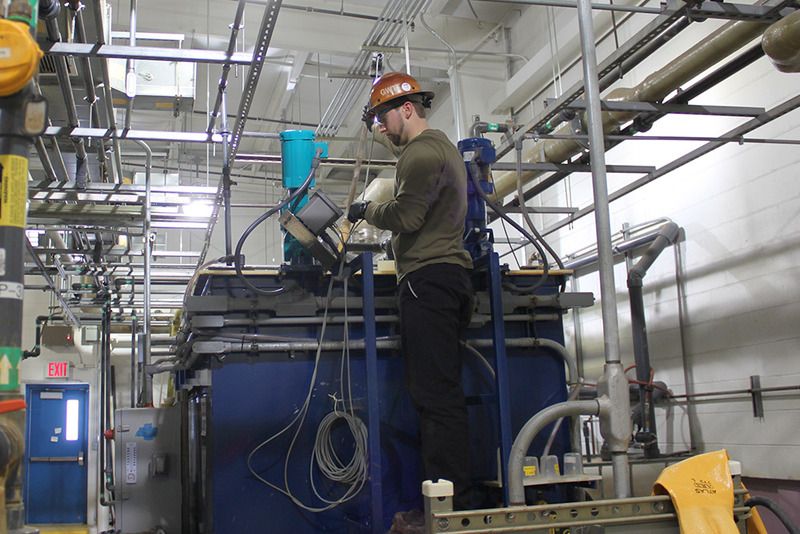 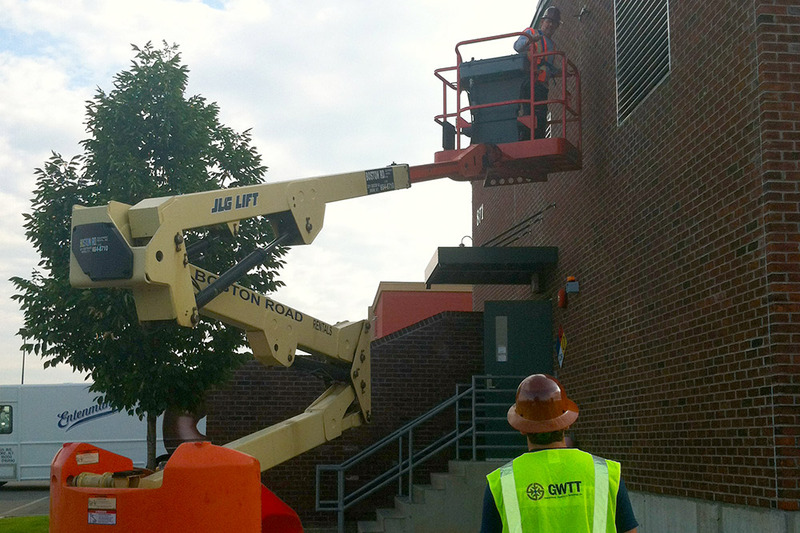 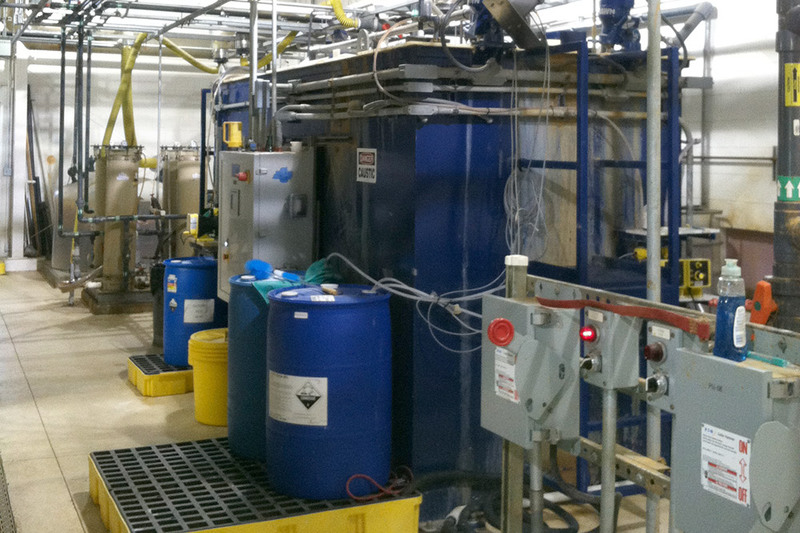 GWTT took over operation & maintenance and project management of a groundwater treatment system, non-aqueous phase liquids (NAPL) recovery system, and two sub-slab depressurization systems located on a former manufactured gas plant (MGP) site. 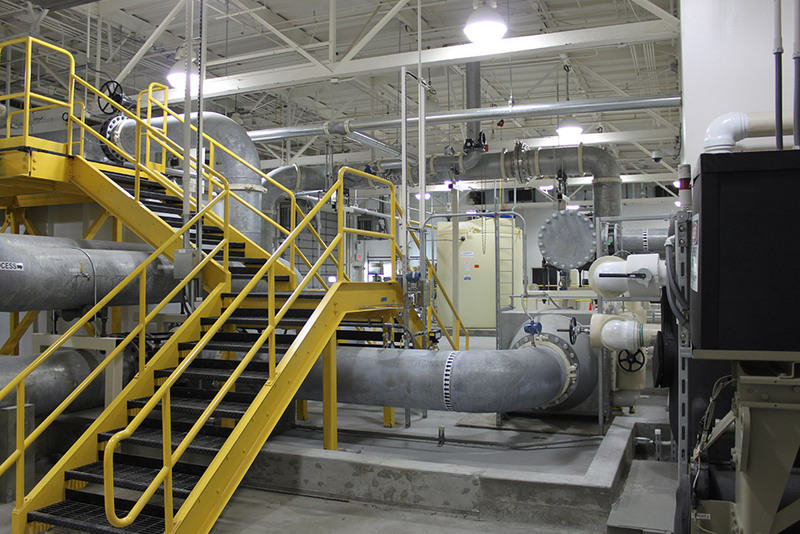 The MGP treatment system was constructed to address residual product remaining from production at the site through 1968. 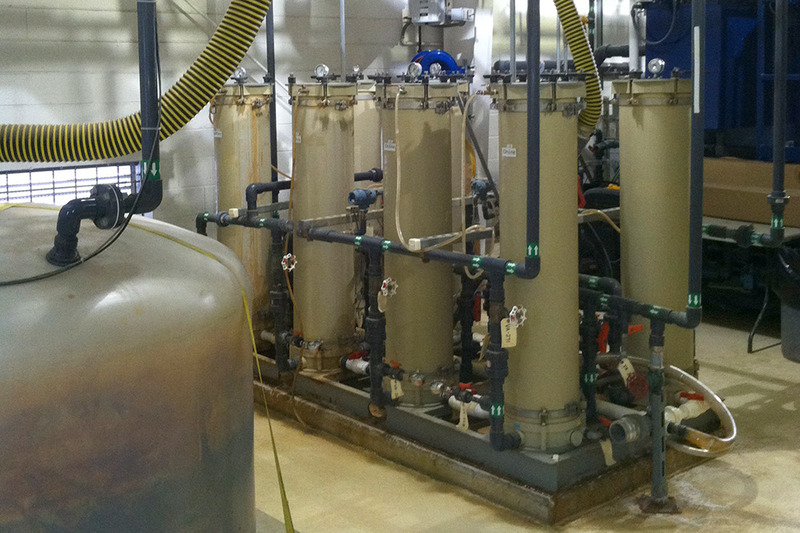 The treatment system operates at a flow rate of 30 GPM and consists of five groundwater extraction wells, eight product recovery wells, two recovery trenches, a NAPL holding tank, active odor extraction, oil water separation, equalization and mixing, metals precipitation, bag filtration, organo-clay media filtration, liquid phase carbon filtration, and secondary bag filtration. 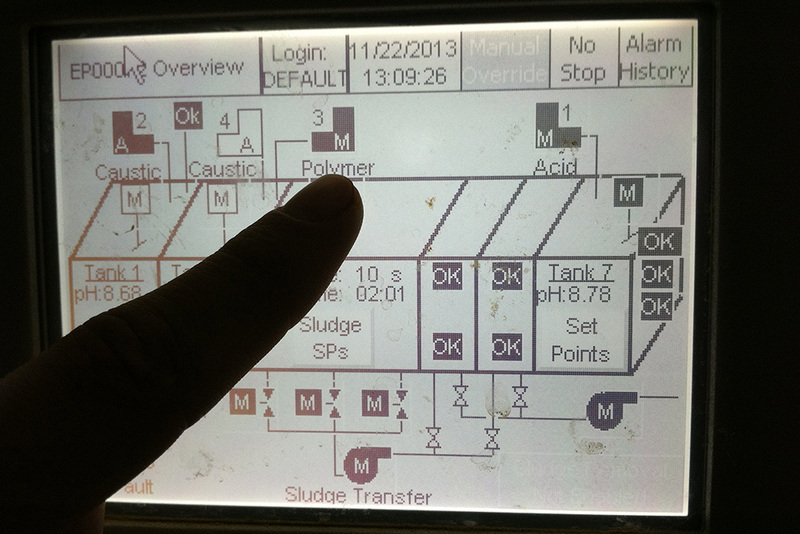 System effluent is discharged to surface water. Additionally, there are two active sub-slab depressurization systems installed to prevent the migration of sub-slab vapors to an existing nearby shopping center. 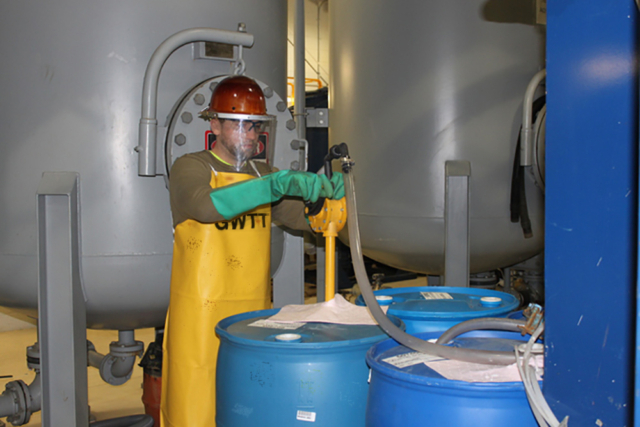 GWTT’s scope of responsibilities includes: routine system operation, preventative maintenance, daily recordkeeping and documentation, regulatory agency reporting, waste management, subcontractor management, operation & maintenance of the sub-slab depressurization systems, site health and safety program, and responsibility for delivering a final effluent that meets all regulatory requirements. 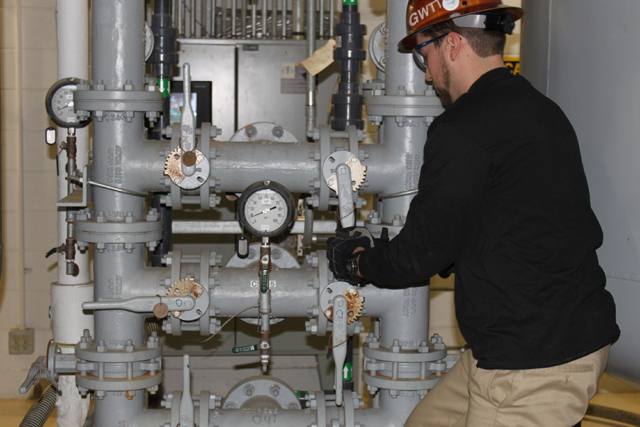 To date, GWTT has maintained the MGP treatment system in a manner that has continuously met runtime requirements, regulatory compliance, and health & safety goals.